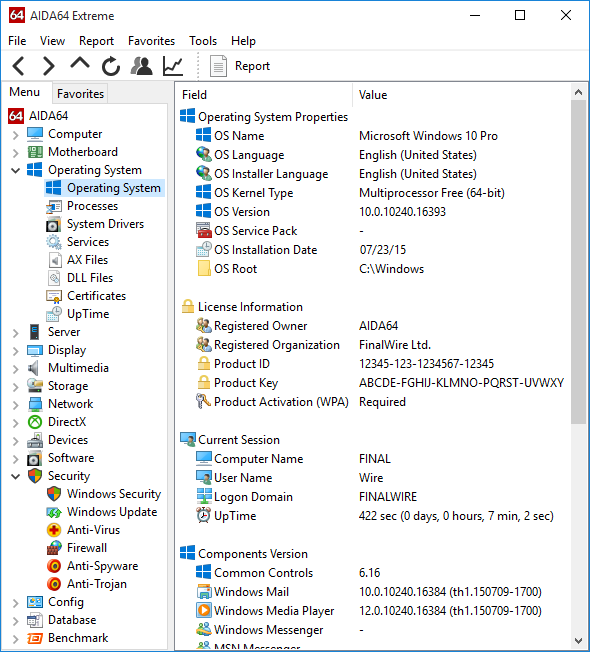 FinalWire today updated the PC editions of its popular system information software. 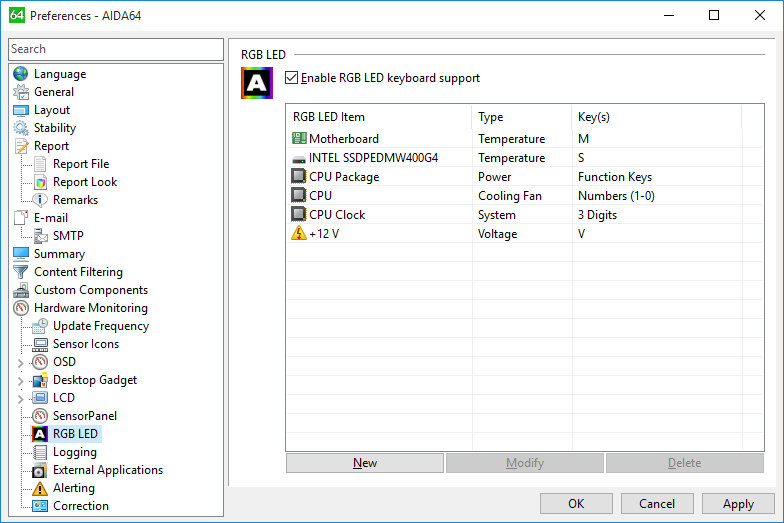 Version 5.50 is capable of displaying hardware monitoring information on keyboards with per-key RGB backlighting and provides accurate details about the latest hardware. A brand new AIDA64 module that enables monitoring of sensor values on per-key full RGB keyboards like Corsair K65, Corsair K70, Corsair K95, Logitech Orion Spark G910, and Razer BlackWidow Chroma. CPU and memory utilization, network traffic, temperatures, voltages, fan speeds, and power draw measurements can now all be monitored on RGB keys, using various visual representations. 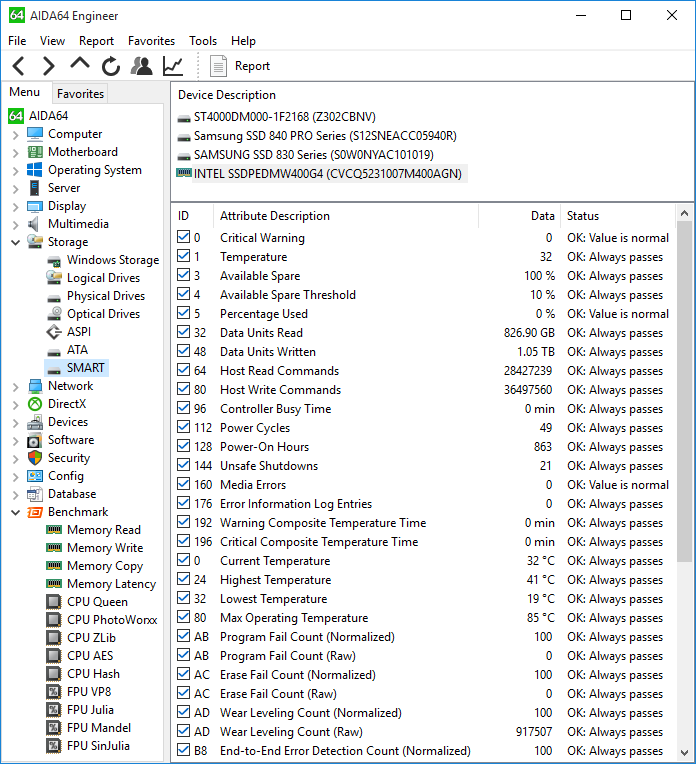 Detailed drive autodetect information, temperature measurement, and SMART disk health status detection for Intel NVMe SSD drives like SSD 750, P3500, P3600 and P3700. RAID member enumeration and RAID SMART support for Adaptec RAID controllers. Advanced support for Marvell RAID controllers. AVX2 and FMA optimized 64-bit benchmarks for 5th Generation Intel Core Skylake desktop, notebook, tablet, and workstation processors. Chipset information for Intel 10-Series “Sunrise Point” and “Sunrise Point-LP” south bridges, and for the integrated memory controller of Intel Skylake processors. 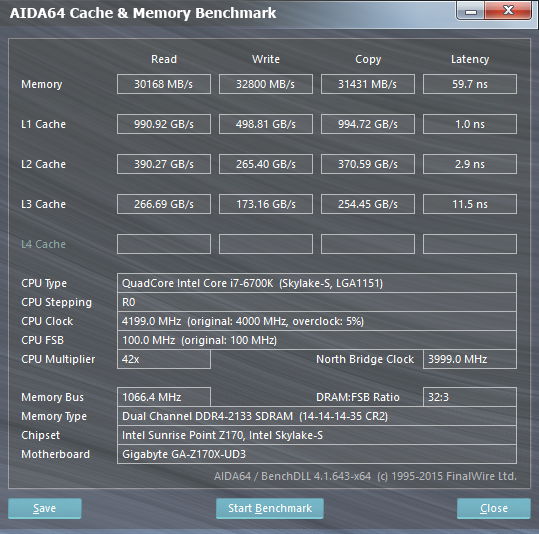 AIDA64 benchmarks and System Stability Test utilize Advanced Vector Extensions 2 (AVX2), Fused Multiply-Add (FMA) instructions, and AES-NI hardware acceleration of the new Intel processors. Preliminary support for Intel Broadwell-E/EN/EP/EX, Cannonlake, Goldmont, and Skylake-E/EN/EP/EX CPUs. 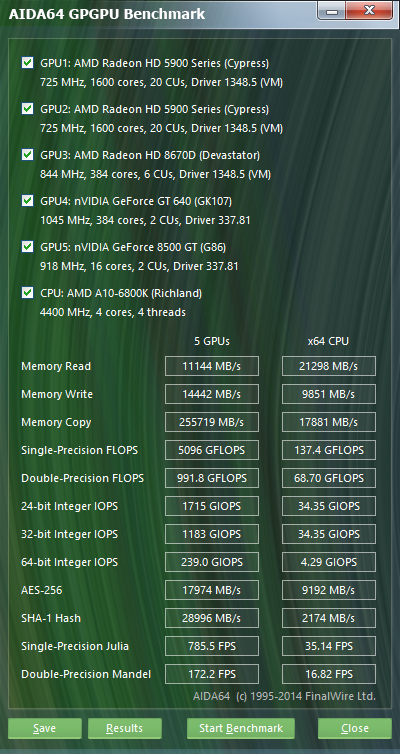 Multi-threaded OpenCL GPGPU benchmarks, graphics processor, OpenGL and GPGPU details, temperature and cooling fan monitoring for the latest GPUs: AMD Radeon R9 Nano and nVIDIA GeForce GTX 950. Improved support for Kingston HyperX Predator, Kingston SSDNow M.2 2280, Micron M500DC, Micron M510DC, Plextor M6V, Samsung SM951, SanDisk Plus, SanDisk U110, SanDisk X300, SanDisk Z400s, SK Hynix SC300, SK Hynix SH920 SSDs. 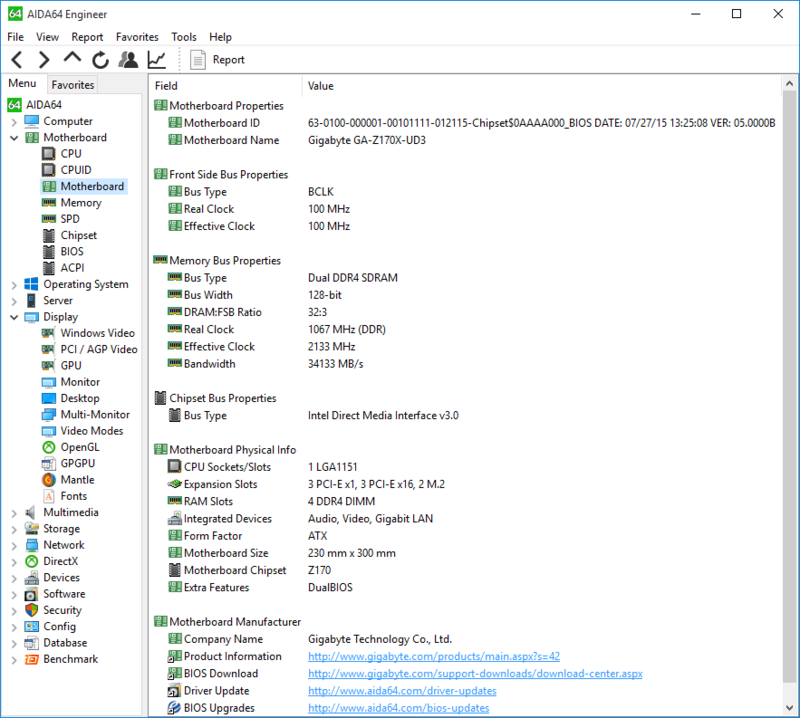 Support for OpenGL ES 3.2 and USB 3.1 peripherals. 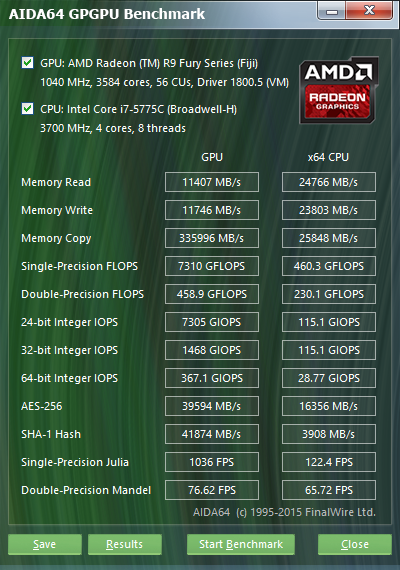 Preliminary support for AMD Bristol Ridge APU.